Having to admit that you lied can be pretty awkward. It starts off at a young age, and it is very common. We lie. People can swear that cookies DO get up and walk away before admitting to lying. The thing about lies is that you have to remember them, and we all know that having to remember more things can mean more stress for ourselves, adding another thing to our to-to lists. 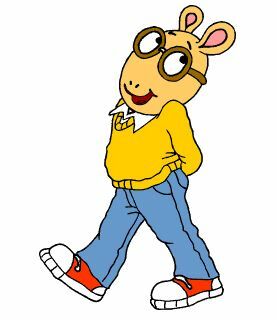 I remember some kid show, I think it might have been Arthur (on PBS Kids).. ah, yes it was. For those of you who are not very familiar with the show, here is a summary: Arthur is the main character, who is an average 3rd grader with typical children dilemmas. In this one particular episode, aired in 2002, the Tibble Twins (friends of Arthur’s younger sister, D.W.), become afraid of going to jail for lying. Of course, these lies were no big deal but they had the right idea.. until they decided to be honest –TOO honest. And then they made things awkward. Sure, all of them may be true. They always forget one though..
5. It makes things awkward. Have you ever been caught lying? Next PostWhy the stall right next to mine? Yes, very awkward it is when kids decide to be too honest about the people around them. My 3 year old niece once asked my cousin (female, in her teens) what the huge thing on her nose was; a pimple she was desperately trying to hide. Poor thing went all red.